RAPID CITY, S.D. – Becky Noble is no stranger to hard work, growing up on a dairy farm in Minnesota. That strong work ethic and drive to succeed has helped her through many trials in life, like when the use of her legs was taken from her in a car accident in 1996. Becky took that situation and moved forward in life, not letting any obstacle stop her, like when she recently competed in a world event. Talking with Becky, you can see and feel her zest for life. Becky has always loved the outdoors and grew up hunting with her family. She is no beginner when it comes to using a gun. 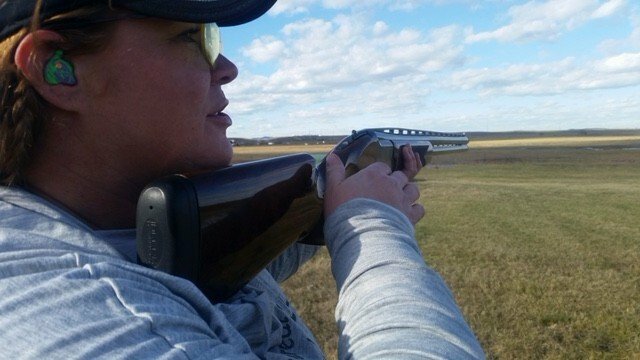 She joined a trap club with some others at work in 2009, then started competitive trap shooting four years ago in Rapid City. She loves the inspiration she gets while out on the range. She was getting serious about the sport and bought new equipment, then heard about the International Bunker Trap, which she admits is more difficult than what she was used to. The targets are faster and moving in all directions. 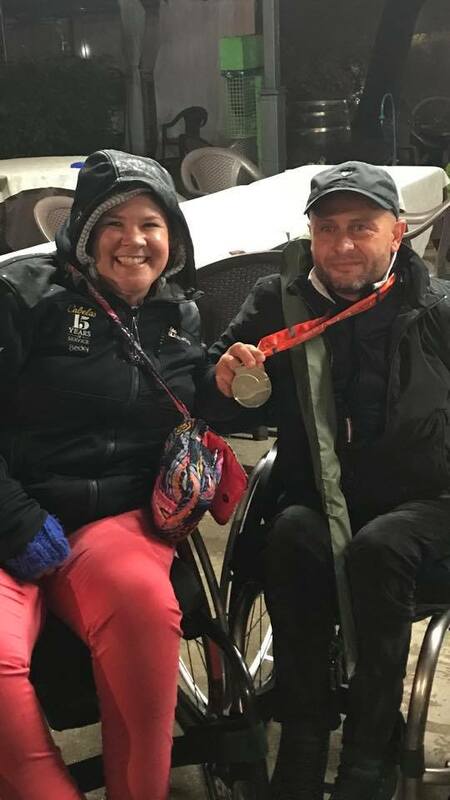 She decided to participate in a competitive event last February and learned that International Bunker Trap is set to be introduced to the Paralympics in 2024. 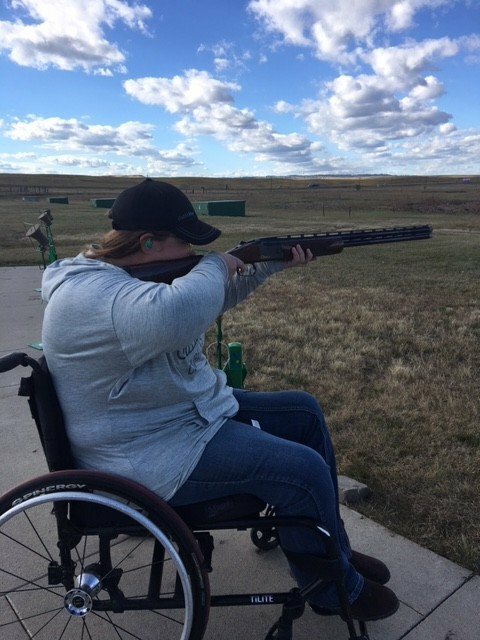 She then went to a selection match in July in Texas where she made the USA team and that led her to compete in Italy this month at the World Champions Para Trap Shoot. Her mission now is to raise more awareness of the sport. Becky said turning 40 years old this year gave her the motivation to pursue more time for family and friends and set more goals and doing more of what she loves. Becky was first in her category for the Grand Prix event that was going on at the same time as the championship. Her next goal is to train hard and practice more so that next summer she can win a minimum qualifying match, then compete in Australia for the next world championship. Click here to learn more about Becky’s journey in the Paralympics.